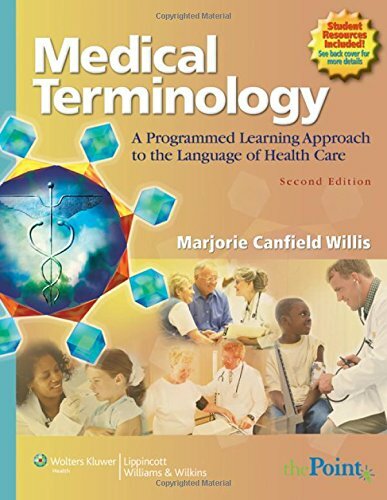 This medical terminology text uses a Programmed Learning approach that is ideal for classroom use, self-paced study, or distance learning. It is broken down into concise self-instruction frames followed by review frames for immediate feedback and reinforcement. Actual medical records and medical record analysis activities are used extensively throughout the book. Highlights of this edition include a more engaging design, additional illustrations, more detailed coverage of term components, chapter objectives checklists, and acronyms and abbreviations charts. A free bound-in CD-ROM contains Stedman's audio pronunciations and interactive exercises. LiveAdvise: Medical Terminology—an online student tutoring and faculty support service—is free with the book. A fully customizable online course created specifically for this text is available as an additional purchase. If you have any questions about this product by LWW, contact us by completing and submitting the form below. If you are looking for a specif part number, please include it with your message.